Posted by fitsnews in 2008 Presidential Primaries. THOMPSON’S IN … NOW WHAT? 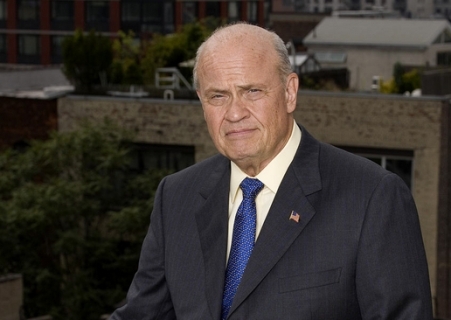 FITSNews – May 30, 2007 – With actor-politician Fred Thompson now all but assured of mounting a bid for the Republican Presidential nomination in 2008, political observers everywhere are scurrying to determine the impact the former U.S. Senator from Tennessee will have on the race. Washington Post reporter Chris Cillizza has an excellent analysis of the “Thompson effect” on his blog this afternoon, which essentially concludes that if you’re name isn’t Rudy Giuliani or John McCain then your chances of getting the nomination now are pretty much screwed. The momentum for Thompson, who is already polling third nationally among GOP candidates despite the fact he hasn’t announced his candidacy yet, has been buoyed by recent polls showing him matching up favorably against Democratic frontrunner Hillary Clinton. Here in South Carolina, he’s already received the endorsement of U.S. Rep Gresham Barrett, a potential 2010 gubernatorial candidate who is noted for his appeal to both fiscal and social conservatives – two groups less than enthralled with the current slate of GOP contenders. Gresham Barrett needs to address real issues his base is concerned about before he goes off running fo GOV. That is to say – the base that elected him; over Mr. Klauber and Mr. Duckworth. Boy that Aiken Hornet is really fired up but lets back off Mr. Barrett and look to Mr. Thompson — Rumor has it he is a lousy candidate — no energizer bunny in him. One noteworthy item on Mr. Barrett, seems he has let a major research and development component at the Savannah River Site – SREL go into closure — Shame on Mr. Barrett and Mr. Willson; afterall they represent that area, man it is for sure that Strom Thurmond would have never let that place run out of denario (money)! The Larry Grooms that posted comment 2. is not the SC Senator Larry Grooms. you are sic(k) and WE are haters. any confussion, siv willie?